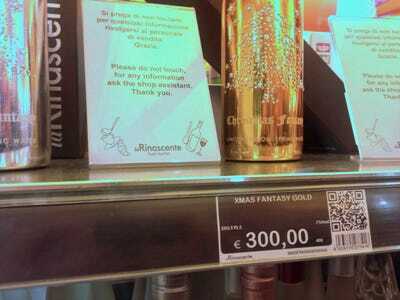 There can’t possibly be a crisis here in Italy. That’s because at upscale Milan grocery store la Rinascente, we came across a 300 euro bottle of water. 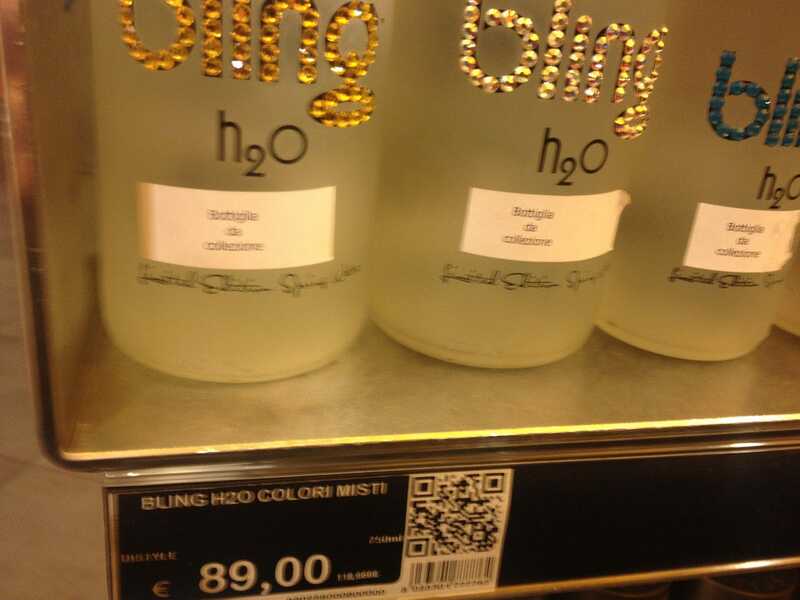 For those unemployed or just poor, there’s a cheaper 89 euro option. Anyway, here’s a bottle of XMAS FANTASY GOLD bottle water, which costs 300 euros, and which you’re not allowed to touch. 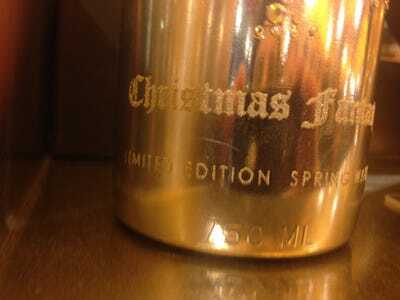 In case you don’t believe that that’s water, here’s a closeup of the inscription: Limited edition springwater. And the aforementioned, cheapo 89 euro kind. It’s called Bling, of course.